Ted Cruz’s supporters are running scared. How scared? Scared enough to smear Cruz’s opponent, Beto O’Rourke, as a friend of the president of Iran, Hassan Rouhani. A group supporting Cruz, Secure America Now, was looking for voice talent to record an ad in which a fictional Rouhani praises O’Rourke. Secure America Now is funded largely by the Mercer family, the same people who underwrote Milo Yiannopoulos’ antics for so many years. 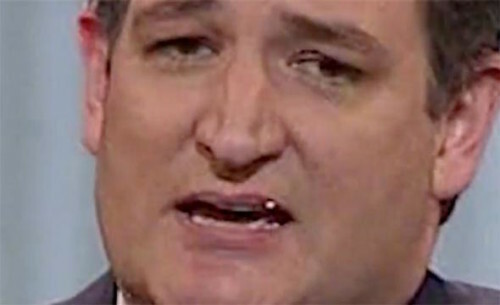 The ad was never produced, but the heavy-handed approach is certainly in line with Cruz’s own. Cruz has gone to great lengths to portray O’Rourke as a socialist, cop-hating hippie who would outlaw Texas barbecue. In the process, Cruz has proven himself to be possibly the uncoolest person on earth (in Adam Rippon’s opinion) or at least the uncoolest under the age of 80 in the U.S. Senate. Cruz has also used the campaign to burnish his anti-LGBTQ credentials. To celebrate securing the endorsement of 96 sheriffs from around the state, his campaign selected Denton County Sheriff Tracy Murphree to represent the group in an ad. In 2016, Murphree responded to what he called the “craziness” of letting transgender people use the bathroom of their choice by threatening violence. Cruz is obviously desperate to win re-election. The fact that he is struggling at all is a testament to his own unpopularity. Even his fellow Republicans hate him. O’Rourke is capitalizing on Cruz’s unpopularity and running a smart campaign. He’s aided by an endless flow of outside money from non-Texans who would like to see Cruz banished from the Senate floor (if not from the planet). However, the race still favors Cruz. He’s managed to vaporize a built-in advantage by sheer force of his repulsive personality, but perhaps not enough to actually lose re-election. For one thing, Texas is still a heavily Republican state. It hasn’t sent a Democrat to the Senate in a quarter of a century. For another, while the demographics tilt toward O’Rourke, Democrats haven’t has much luck getting their voters to turn out in sufficiently high numbers to win. For the moment, however, Democrats from around the nation are delighting in seeing Cruz squirm. The moment would be especially sweet if O’Rourke were to defeat Cruz once and for all.